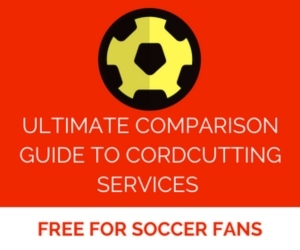 If your team is playing, then you’re still better off watching the full 90 minutes of your favorite club and leaving MultiMatch 90 for everyone else. As we’ve described countless times, one of the most frustrating aspects of FOX’s soccer coverage is the lack of quality, knowledge and preparedness by the talent in the studio. FOX Sports has made baby steps in its soccer coverage, but the advantage of MultiMatch 90 is that it’s pure entertainment without the talking heads. There’s no annoying banter. It’s just pure soccer with either Strong or Dyer guiding you through the best moments of games. I can’t help but wonder whether FOX Sports may consider implementing MultiMatch 90 for other coverage in the future other than UEFA Champions League. ESPN has done Whiparound Coverage for World Cup qualifiers in the past. Can FOX Sports do something similar for its FA Cup coverage especially during the Third or Fourth Rounds where there are large amounts of games being played simultaneously. Or can FOX do the same next season for Women’s World Cup games or Gold Cup games that are played simultaneously? The options are numerous. From the graphics, enthusiasm and expert coverage, MultiMatch 90 feels like a more positive soccer production from FOX Sports where producers have been given an opportunity to spearhead a project that they believe in. Everything about MultiMatch 90 feels new, and it doesn’t come with the baggage of the soccer coverage than be found on FOX Sports 1 or FOX Sports 2. 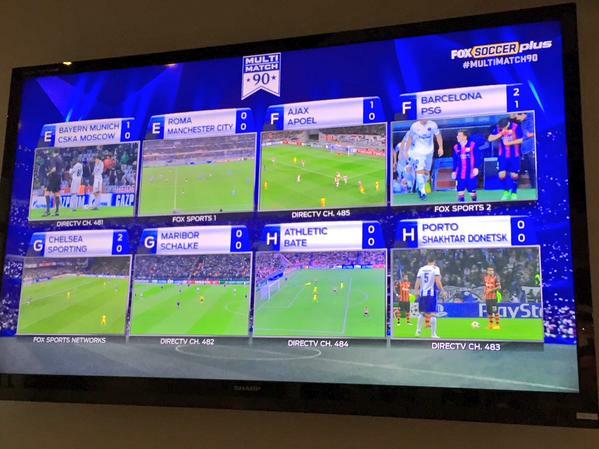 For FOX Sports, MultiMatch 90 is a big step forward. 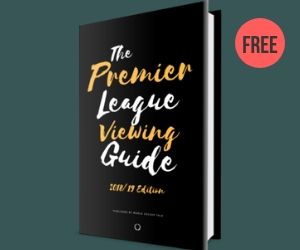 For everything good about MultiMatch 90, it’s currently only available to a slim number of soccer fans in the United States who are subscribed to either FOX Soccer Plus or FOX Soccer 2GO. Since launching almost five years ago, FOX Soccer Plus still isn’t available on many TV providers including Comcast xFinity in some regions. And FOX Soccer 2GO, while a much improved product, doesn’t offer the quality of top soccer coverage since FOX Sports lost the US Internet rights to the Premier League, Serie A and Ligue Un.